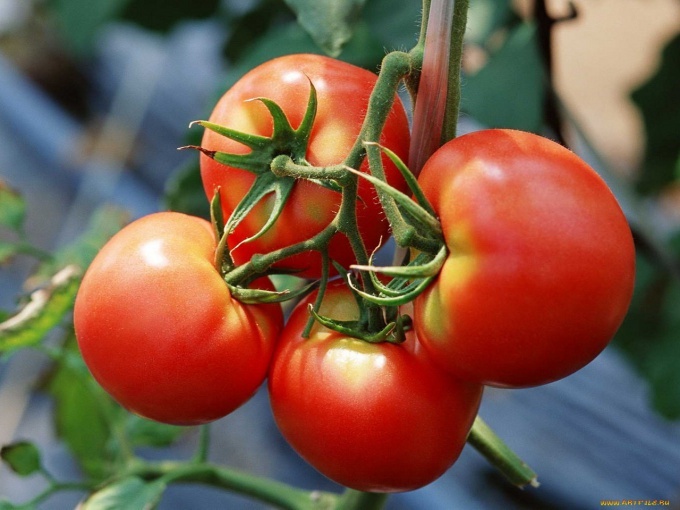 Tomato plants, because of their "violent nature," require constant attention and control. Without forming and pinching to grow a good harvest almost impossible. In the greenhouse grown varieties (hybrids) generally high with unlimited growth, shaping the culture into one trunk (stem). To remove all of the shoots that grow from the leaf axils. Phasingout tomatoes throughout the growing season on a weekly basis and regularly. Remove the shoots that grew 5-6-7cm in length. More powerful Stepsons weaken the plant by dragging the food itself. With care it is necessary to remove small laterals, at the top of the plant. By mistake, by accident you can remove the apical growing Bud (crown). Overgrown stepchildren, even if they have ovary, in the period before the onset of "Phytophthora" should certainly remove to the plant is not a spent force and power to "parasites". The shoots grown from the soil (underground buds), should also be cut. Pasynkovat tomato plants need in the morning. The evening damaged the wound will have time to dry. Pasynkovat tomatoes better in the dry, Sunny day. In rainy weather the shoots should be cut with a knife (scissors), the tool continuously immersing in the disinfectant solution, for example, potassium permanganate dark color. In prolonged wet weather, should not be on the plant to leave "stumps". There can live a fungus.